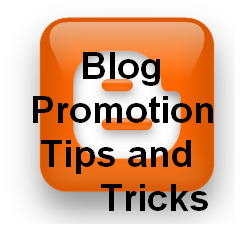 Please follow below tips and tricks if you want to genuinely promote your blog, increase blog traffic and increased revenue. These are unique tips and tricks. 1. URL Linking: In each article create a link to popular website wherever required and applicable. Example: In Computer troubleshooting article you may create hyper-link for BIOS to Wikipedia so that if somebody wants to know about BIOS he can. 2. Build Relationship with readers: At the end of each post mention ask your reader to provide feedback or share their opinion, also add related post links at last. If you need to example check my blog posts. 3. Add Video Tutorial: Add videos from YouTube or from other websites this will help your readers have everything at one place, this will ultimately help you reduce bounce rate, which is good for anyone's Blog. 4. Create Post Footers: If you have troubleshooting blog or troubleshooting post than prepare a message template to post at the end of each troubleshooting related post / article. "If you have any trouble following steps and need our help either contact us by filling-up help me form or comment on post, we will revert to you within 24 Hrs. If you want to share your experience on this, please do share, we will welcome your comment."